ONCHAN, Isle of Man – April 10, 2017 – As PokerStars Championship Macau wraps up, PokerStars Live is keeping its foot firmly on the pedal with just two weeks to go before its debut Championship along the French Riviera. The fourth Championship of 2017, which starts in less than two weeks at Monte Carlo Casino, is set to be one of the most prestigious tournaments this year with thousands of players anticipated to attend and more than €30 million in prize money expected to be paid out by PokerStars, an Amaya Inc. (NASDAQ: AYA; TSX: AYA) brand, between April 25 and May 5. The event will feature 71 PokerStars sponsored tournaments with more than €2.5 million in total guaranteed prize pools, including the €1 million guaranteed €1,100 PokerStars National Championship, formerly known as the France Poker Series (FPS) Main Event. Last year, the FPS Main Event had a total of 1,261 entries (without the re-entry flight option) and last year’s Monte Carlo Main Event had a total of 1,098 entries. While PokerStars Championship events attract some of the best players in the world, this event will see a wide range of tournaments on offer for players of all levels, giving everyone a chance to compete. Team PokerStars Pros confirmed so far include Felipe ‘Mojave’ Ramos, Jake Cody, Vanessa Selbst, Daniel Negreanu, Fatima Moreira De Melo, Igor Kurganov, Liv Boeree, Celina Lin, and Bertrand 'ElkY' Grospellier. As part of the bumper schedule, there is the very popular €150 buy-in charity event on May 1, which will raise funds for PokerStars’ official charity partner Right To Play. This popular event will see a host of Team PokerStars Pros taking part and amazing prizes up for grabs. In addition to the assortment of events featuring different stakes and formats, there will also be live Spin & Go tournaments running daily from April 26 to May 2 with buy-ins ranging from €50 to €500. They will run 2pm until 10pm. After the success of the Shot Clock tournament during PokerStars Championship Bahamas, Panama and Macau, a shot clock will be used in all NL Hold’em events with a buy-in of €5,000 and higher, with the exception of the Main Event. A few lower buy-in events will also use the shot clock format as a fun variant. In addition to this, PokerStars will also trial playing every ten-handed tournament as a nine-handed tournament during the event. Whilst poker will take centre stage during PokerStars Championship Monte Carlo, there will be no shortage of entertainment with a host of #StarsFun activities on offer throughout. Highlights include the unmissable Player Party, which will take place in the beautiful Med Garden on April 29 starting from 9pm. With free drinks and entertainment in a unique setting, PokerStars is also accommodating boxing fans by making sure they get to enjoy the highly anticipated Anthony Joshua vs Wladimir Klitschko fight while they unwind. PokerStars’ Virtual Reality Challenge will offer players daily prizes, while the player with the overall highest score will receive a complete VR set to take home. On top of this, PokerStars is also giving away more than 100 unforgettable Ferrari rides around the Principality during the Championship. Playing selected events (various buy ins) will enter players into a daily draw for free Ferrari rides - and all players who bubble any live satellite in Monaco will also receive a free voucher. There will also be special tours and boat trips, open to anyone who’d like to take in the beauty of Monaco. Team PokerStars Pro members will welcome online qualifiers with a special reception on April 28 from 8pm in the Blue Gin Bar at the Monte Carlo Bay Hotel. This is an exclusive session for online qualifiers to meet and speak to some of the world’s best players, plus there will be PokerStars goodies for those attending. On April 29, Daniel Negreanu will be hosting a Q&A session about his poker career, giving an insight into tournament strategy and offering players a chance to get to know more about KidPoker himself. It’s a great opportunity to quiz one of the best poker players in the world about playing live events. This session will kick off in the main tournament room at 11am. Team Pro Vanessa Selbst and Fatima De Melo will be challenging players to tennis matches to determine the King/Queen of the court once and for all. Players can sign up and get further information about this at the PokerStars welcome desk. For a further breakdown of #StarsFun activities planned during the PokerStars Championship in Monte Carlo please see the PokerStars Blog. To date, the €5,300 PokerStars Championship Main Event field will feature over 170 qualifiers, including players who managed to turn just €10 into a €8,500 prize package via special edition Spin & Go tournaments. More than 90 players have also qualified so far for this year’s €1,100 PokerStars National Championship event. Satellites starting from as little as €2.20 to PokerStars Championship Monte Carlo Main Event and PokerStars National Championship are currently running on PokerStars. Two lucky players from Russia and Ukraine have also won their seat to Monte Carlo in the Daniel Negreanu freeroll held yesterday, which contained a total of 16,999 entries. PokerStars is also offering a live 30-seat guaranteed Mega Qualifier to the PokerStars Championship Main Event and a 50-seat guaranteed live satellite for the €1 million guaranteed National Championship during the event. Both will take place at the Monte-Carlo Casino on April 25 at 4pm. Any player taking part in the PokerStars sponsored National Championship who has previously won an FPS Main Event tournament will automatically be entered into a special ‘PokerStars Last Longer’ with a €1,100 PokerStars Live Event credit up for grabs. European Poker Tour Main Event title holders taking part in the Main Event will automatically be part of another PokerStars Last Longer where the last remaining EPT winner will win a €5,300 PokerStars Live Event credit. 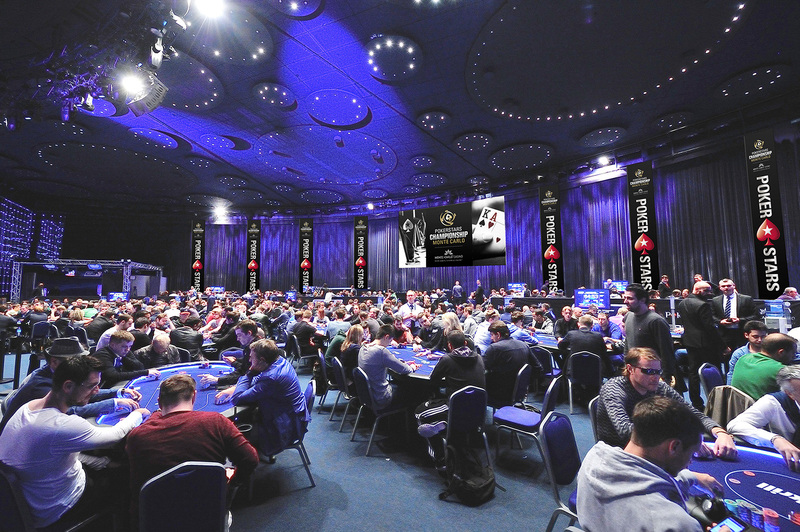 PokerStars Festival events, sponsored by PokerStars, are mainly tailored for recreational players and incorporate some events previously part of the UK & Ireland Poker Tour, France Poker Series, Italian Poker Tour, Estrellas, Eureka, Asia-Pacific Poker Tour and Latin American Poker Tour. Confirmed 2017 PokerStars Festival sponsored live events are Rozvadov, Korea, Chile, Marbella, Manila and Uruguay with more events to be announced.